LONDON (Reuters) – AstraZeneca’s immunotherapy drug Imfinzi cut the risk of death in patients with mid-stage lung cancer by nearly a third in a closely watched clinical study, reinforcing the case for using the drug in earlier disease. 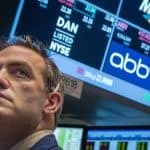 The encouraging overall survival data boosts prospects for a medicine that was approved this week in Europe and has already had a promising U.S. commercial launch, based on its ability to slow disease progression. Deutsche Bank analysts said the “impressive” results would cement Imfinzi as the standard of care for lung cancer patients whose disease has not yet spread widely. Until now, the five-year survival rate for such patients has been around 15 percent. 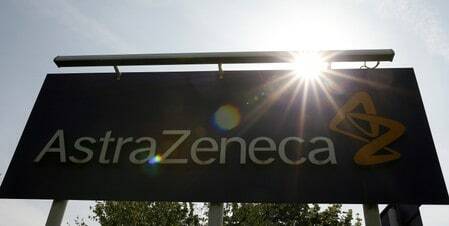 AstraZeneca shares rose more than 2 percent and oncology business head David Fredrickson told Reuters the data would be important in driving uptake of the medicine, which he expects to be launched in 40 markets by the end of the year. Although AstraZeneca announced in May that Imfinzi had successfully extended lives, the scale of the benefit seen in the clinical trial known as Pacific was only disclosed on Tuesday at the World Conference on Lung Cancer in Toronto. The data was also published online by the New England Journal of Medicine. Results showed Imfinzi delivered a 32 percent survival benefit after two years, compared with placebo, in patients with inoperable stage III non-small cell lung cancer – where cancer has advanced locally but not spread widely around the body. Previous data from the same study found patients on Imfinzi lived 11 months longer without their disease worsening – so-called median progression-free survival – leading to the drug’s U.S. approval for lung cancer in February. No comparative figures for median overall survival are yet available because more than half of Imfinzi patients are still alive. Imfinzi is the first immunotherapy to be approved in the stage III lung cancer setting, giving AstraZeneca an opportunity to intervene relatively early when there is still a chance of a cure. That distinguishes it from rivals Merck, Bristol-Myers Squibb and Roche, which beat the British drugmaker in winning approval for similar immunotherapies in advanced or metastatic disease. Fredrickson believes using Imfinzi in stage III lung cancer opens a major sales opportunity and also puts AstraZeneca in a strong position as doctors explore the use of immune system-boosting drugs earlier in cancer. “This is a really important set of data for our commercial uptake,” he said. So far, Imfinzi’s growth has been driven by the big U.S. market, with launches elsewhere further behind. Being able to prove that the drug helps patients live longer will be important in securing a good price in Europe and Japan, Fredrickson said. Imfinzi sales totaled $122 million in the second quarter of this year and analysts expect them to reach close to $4 billion by 2023.